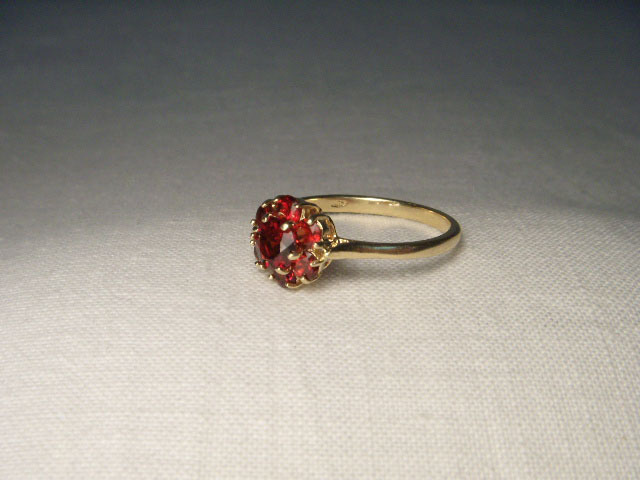 14K yellow gold floral ring with garnets. 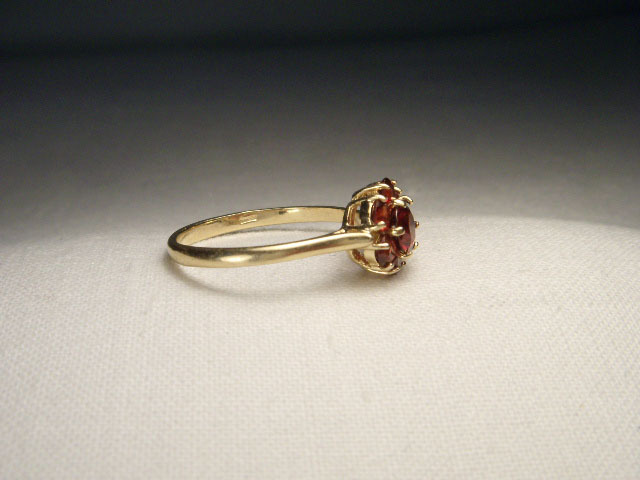 There are 6 natural round garnets each measuring 3 mm, surrounding one natural round garnet measuring 6 mm. 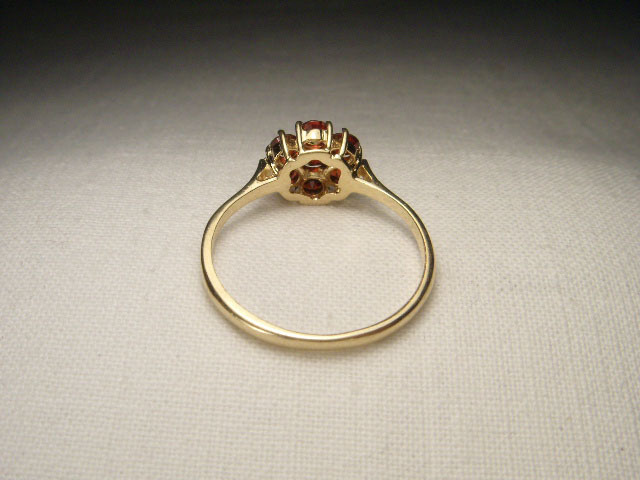 The top of the ring measures 7/16 of an inch across. 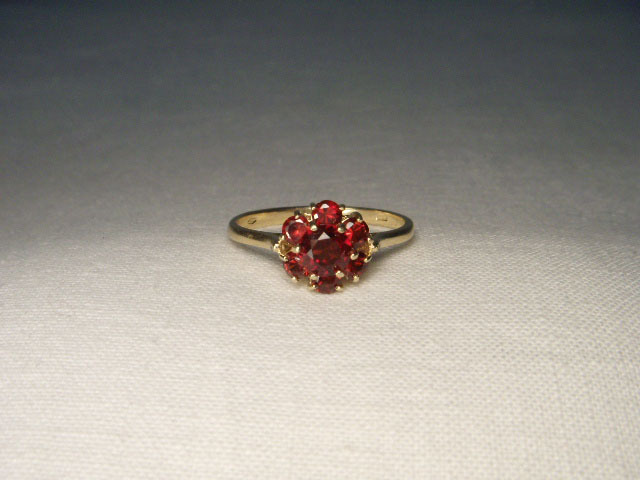 It is a size 7.75. Sizing is available. It weighs 2.2 grams.